6th Century Japan and the Emergence of Buddhism. I have a few friends who also have a passion for Japanese history. 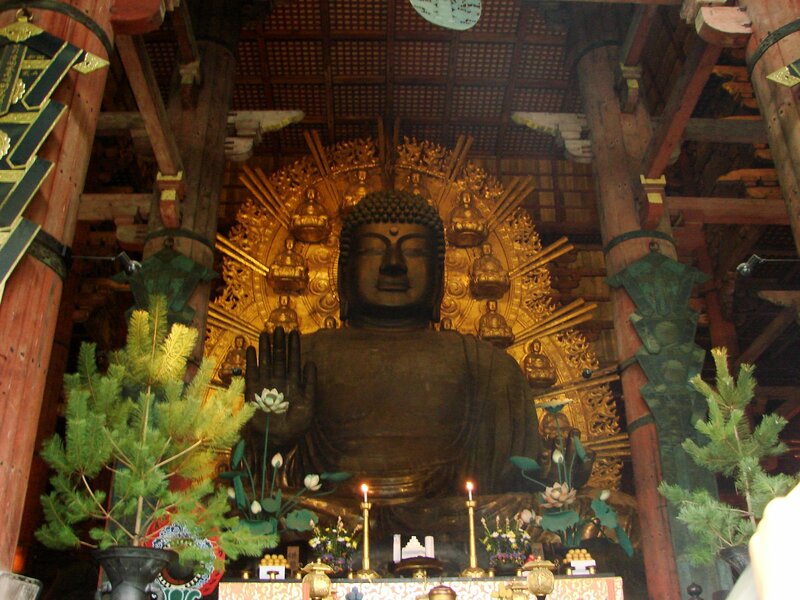 Here is a great article about the emergence of Buddhism into Japan. Buddhism arrived rather late in Japan in the middle of the 6th century, along with Korean and Chinese priests … one thousand years after the religion had originated with Siddhartha Gautama in India. From India, Buddhism had moved eastward through China, Southeast Asia and Korea before finally arriving in Japan. Archaeologists have traced the path of Buddhism to Japan through examining excavated temple tiles of the 6th century. From their studies, Buddhism was transmitted from south China’s court of Liang through the south Korean state of Paekche to Japan. Thus the earliest version of Buddhism Japan received was a south China variety and it was spread by way of Paekche which was in its Golden Age of Buddhism then. King Songmyong of Paekche had sent a high level envoy to obtain support from Emperor Kinmei in view of its troubles with the encroaching kingdom of Silla. With its second mission, the Asuka leader was presented with an image of Shaka Butsu in gold and copper, several flags and umbrellas and a number of volumes of Buddhist sutra texts. Along with the gifts, came a message boasting that embracing Buddhist teachings would bestow upon him, “treasures to his heart’s content”. The message urged the Yamato Emperor to receive Buddhism’s teachings, by offering the enticement that wealth, wisdom and the fulfilment of all one’s wishes beckoned the believer. From that point on, a steady stream of embassies and emissaries arrived from Paekche on the Korean peninsula bringing with them various Buddhist ritual objects and sutra texts. According to the account, just as Emperor Kinmei had first introduced Buddhist rituals, an epidemic hit Japan so that the new religion was blamed for incurring the wrath of the native kami gods. Emperor Kinmei was forced to appease the kami by having the Buddhist statues thrown into the Naniwa Canal and a recently constructed pagoda burned to the ground. The Nihon shoki reports the events dramatically, saying that on that day, the winds blew and rain fell under a clear sky. However, there is a slightly different account in the records of Gango-ji engi (compiled earlier than Nihon shoki) which version of what happened put the introduction of Buddhism in the year 538 and places the suppression of Buddhism as having happened in 569 and linked it to the execution of Soga no Iname in the closing months of Kimmei’s reign, not due to the pestilence outbreak. According to Gango-ji engi, the call to purge the capital of Buddhism did not come from the two anti–Buddhist ministers but from Emperor Bidatsu himself. As the chief of kami worship, the Emperor, not his ministers would have been responsible for the priestly rulers in the native segment of society. Adjusting for the Gango-ji- engi version of events suggests that the promotion of Buddhism declined with the demise of Soga no Iname, not because of the outbreak of pestilence. 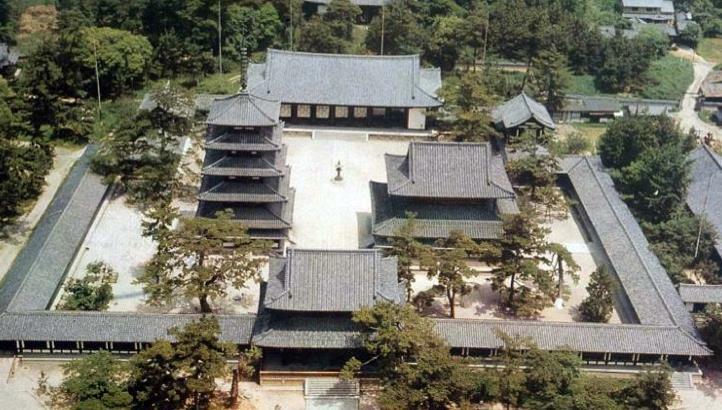 Gango-ji engi also conflicts with the Nihon shoki’s account that the Buddhist relics and priests were presented to the imperial court, in that it reported that they were brought to Japan in response to a request sent to Paekche (likely by Soga no Umako). Thus historians are in general agreed that the Nihon shoki shows signs of having added embellishments to the account of the events surrounding the introduction of Buddhism. However, the scholars also accept that King Songmyong of Paekche did actually send Buddhist images and texts to the Yamato king sometime between 538 and 552. It is also thought that the presentation of the Buddhist texts and statues was followed by conflict over its acceptance and that Soga no Iname had pushed for the official adoption of Buddhism. The important question remains what was really at the heart of the quarrel between Soga and other factions over the acceptance of Buddhism? These events were in effect a showdown between the mainstream native clans and communities engaged in agriculture and agricultural kami worship versus the less numerous immigrant clan groups led by the Soga family that enjoyed the benefits of imported continental techniques and learning associated with the imported Buddhist religion. In 587 when the Soga clan supporters of Buddhism won in the battle of the clans and defeated the native Monobe clan which had opposed the introduction of Buddhism. But there remained a divided society with two different sources of spiritual authority and the clashes between the Soga and imperial clans showed the fundamental differences between the two segments of Japanese society. Scholars now regard those pre-645 initial years of Buddhism, as a period when the spread and sponsorship of the Soga Buddhism benefited largely Soga and his immigrant clans, especially since the building of the first ujidera temple complexes were sponsored and controlled by the clans. They also think that until 645, no imperial ruler (including Empresses Suiko and Kogyoku) had actively patronized or been involved in Buddhist worship. Soga’s Asukadera temple was at the centre of the emerging temple complex system dominating the heart of the new capital Asuka. The forty six temples were concentrated in and around the Nara basin where the immigrant clans were based. The new religion was clearly a symbol and statement of the wealth and power of the Soga clan — was Empress Suiko (or other imperial rulers) wary that a developing Buddhist state religion with spiritual authority in the hands of the Soga head patron and high priest of Buddhism could overwhelm the imperial clan’s divine authority that had gone unchallenged for so long in the Kofun-Yamato centuries? Clearly, continuing conflicts and arguments over Buddhism sparked off fierce battles between the foremost clans and supporters behind the imperial government. Then Soga no Emishi and Soga no Iruka engineered the tragic end of Prince Shotoku’s son Prince Yamashiro — why had the Soga clan so violently opposed Prince Yamashiro imminent succession to the throne, when he was allegedly a devout believer of the Buddhism? A probable motive for the murder, it is supposed that, is that the Sogas realized an emperor who would be committed to the cause of Buddism would divest sacred authority away from the current chieftain of the Soga clan to the emperor. In any event, Soga’s assassination of Prince Yamashiro in turn kindled a coup in which Soga no Emishi was killed. Emperor Kotoku ascended the throne and began to be a patron of Buddhism, following the path outlined by Prince Shotoku. Nevetheless with the defeat of the Monobe clan, the Soga clan grew more powerful and prospered, pushing for the spread of Buddhism. Buddhism spread rapidly between 587 and 645. Although Buddhism proliferated due to the support of immigrant clans, especially the Soga clan, it was also partly due to increasingly popular belief that Buddhist rites had a mysterious power to produce spectacular physical and concrete benefits for the community. According to the Nihon shoki, a thousand men and women were conscripted to the Buddhist priesthood when Soga no Umako became ill in 623 “for his sake”. And during the drought of 642 the reading of excerpts from Mahayana sutras at Buddhist temples were offered as prayers, when offerings and prayers to kami produced no rain. The Nihon shoki reported that the reading of excerpts was discontinued because rain fell the next day. Despite the initial rejection of Buddhism, ancient belief and deep tradition that the kami possessed the power to benefit life here and now, paradoxically, made the Japanese more receptive to Buddhist rites that would bring rain and secure a good harvest, stop disease and pestilence and cure illness, or prosper the state. The indigenous kami belief system fostered Japan’s receptivity to magical and popular forms of Buddhism. Late in the 6th century, the Soga clan chief Umako had ordered the building of the grand temple Hokoji (known as Asukadera today) on his home territory in Asuka as an outward show of the Soga clan’s support for Buddhism. The foundation of Hokoji (or Asukadera) contained jewels, horse trappings and gold and silver baubles … the same sort of prestige goods previously buried in the mounded tombs of the earlier era. The frenetic tomb construction activity of the previous era abruptly ended and all energies were now channeled into temple building by leaders of the day instead. Ancient records tell us that they “vied with one another in erecting Buddhist shrines for the benefit of their Lords and parents.” As Buddhism spread and took hold in society, Empress Suiko’s government established offices to oversee the religious community, putting trusted priests in charge, usually immigrant priests. During Empress Suiko’s reign in 623 a religious census was carried out which reported the existence of 46 temples, 816 priests and 569 nuns. As Prince Shotoku came to rule at the helm of government, serving as regent to the Empress Suiko, he ordered the building of the Ikarugji — later renamed Horyuji Temple, which became one of the most ancient and cherished icons of Buddist culture in the nation. It is famous as the oldest wooden structure in existence in the world today. The architecture of and sculptures of Horyuji reveal the extensive international influence that Buddhist teachings had in Asuka’s heyday. The temple art and architecture reveal that Buddhism brought to Asuka a cosmopolitan culture, such as medicine, irrigation, engineering technologies and ways of thought that were modern for those days. Buddhism was a significant force that had provided a channel of contact with the culturally and technologically advanced peoples of the Asian continent. By the 640s, Nihon Shoki records that Emperor Kotoku decreed that priests must be properly instructed in Buddhist doctrine and assistance given where needed to maintain all temples erected by members of the titled elite. He called for the Temple Commissioners and Chief Priests to be appointed, who would make a circuit to all the temples and who would make detailed reports to the imperial government, including matters such as their acreage of cultivated lands. Since many of the temples had been established by leaders of powerful uji clan groups, the imperial government had discovered that the key means of controlling the uji chiefs was to control the temples. 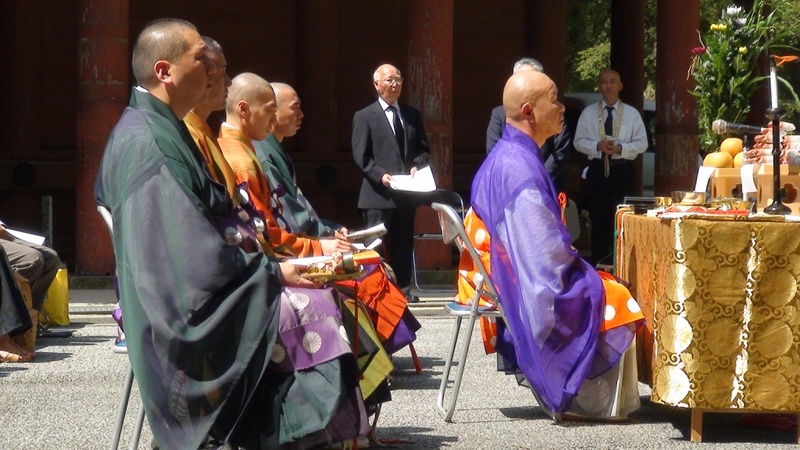 Buddhism thus took root in Japan, and came to be valued by ruling factions not just as a matter of faith, but because it was viewed as an expedient political tool as well as a shield from the epidemics of illness and natural disaster of the times. In the following decades, Buddhism continued to enjoy the support of the central government and newer, grander and more richly endowed temples were built, staffed by more and more priests, nuns and followers. Buddhist sutra texts, images and other religious paraphernalia flooded the cities from abroad. All the temple-building activity notwithstanding, even as Buddhism spread through Japan the deepest and most widespread religious activity of this period through the Nara period, remained kami worship, not Buddha worship. The most popular Buddhist movement of the period – ascetic mountain Buddhism — was associated with mountains where particular kami were believed to reside. Buddhist ritual was regarded as similar to kami worship since both emphasised divine blessings that could be obtained here and now. Buddhist worship spread to local communities, helped by the building of Buddhist temples by clan chiefs who continued to function as chief priests in the worship of clan kami. Shrines and temples came to be regarded as compatible, some shrines called jinguji had their own temples, while other Buddhist temples were guarded by certain kami. Eventually due to the close connection between kami worship and spread of Buddhism, local doctrines developed involving ideas such as a particular kami and Buddha existing as one body (shinbutsu dotai) and a kami manifesting the essence of Buddha (honji suijaku). The interaction between kami worship and Buddhist doctrine is referred to as kami-Buddha fusion (shinbutsu shugo). Source – Heritage of Japan.